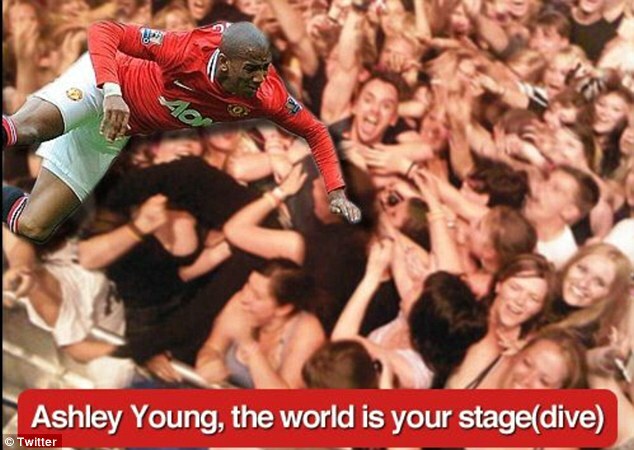 Ashley Young’s ‘dive’ against Real Sociedad has gone viral on the internet – with the England winger being depicted in film posters and mocked up alongside Tom Daley on a diving board. Young won a penalty in the second half after a challenge from Markel Bergara – which was missed by Robin van Persie – as United drew 0-0 in Spain. Contact seemed to be minimal at best and even though manager David Moyes defended Young, citing a ‘tug in the box’, there have been other less forgiving opinions as a number of former United players have lined up to criticise Young. 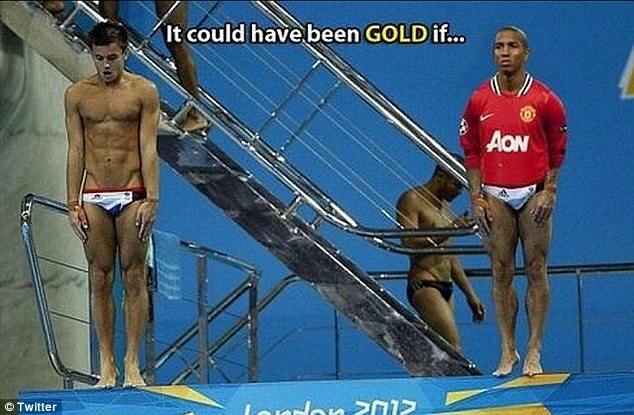 And Twitter has been in overdrive since the incident mocking Young up in various diving poses. Several viral images have been posted on the social networking site including some originally published last year on mirror.co.uk/football. But Ex-United captain Roy Keane was far from amused in his analysis on ITV, claiming Young had ‘conned’ Italian referee Nicola Rizzoli. Ray Wilkins shared the Irishman’s thoughts, telling Sky Sports: ‘This is pathetic. This is as bad for me as all these over-the-top tackles we’re getting at the moment because that is a conning of the referee. Former defender Paul McGrath – who like Young played for United and Aston Villa – feels the 28-year-old is detracting from what he can do on the field. 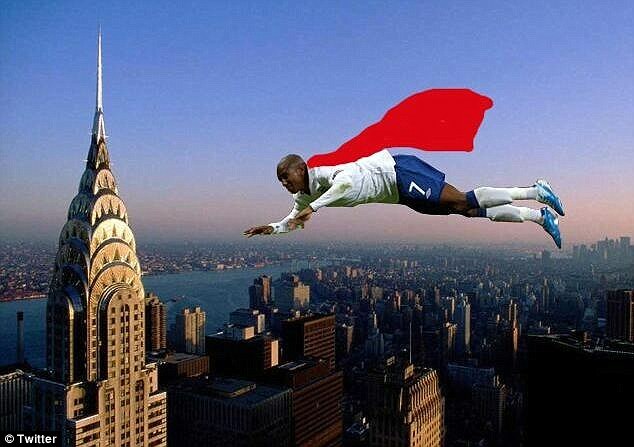 ‘I was disappointed with Ashley Young,’ he told talkSPORT. ‘That was never a penalty. ‘I genuinely believe he is a very good player but he’s got into this habit of tripping himself up if anyone bumps into him in the penalty area. ‘It takes away from the fact he’s a brilliant footballer. 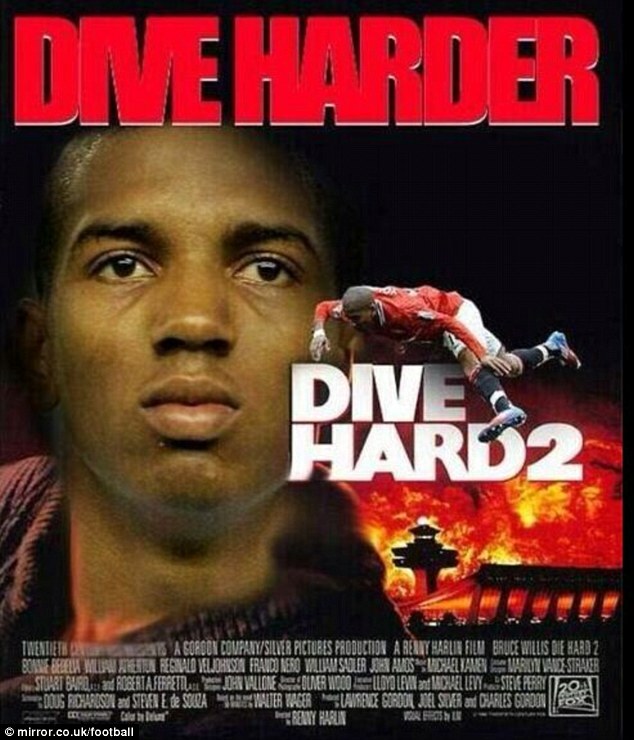 He’s going to be left with the perception he’s the one who always dives in the penalty area. 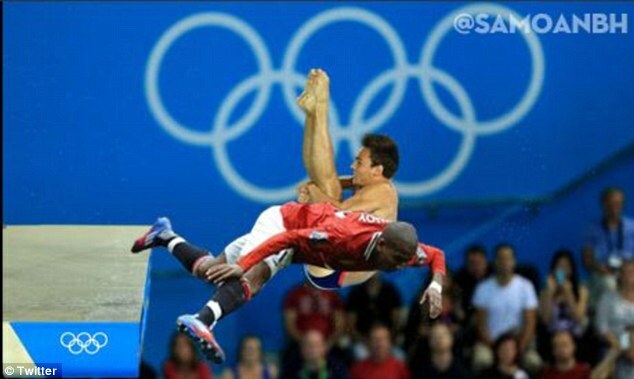 Speaking after an incident against Crystal Palace, Moyes said: ‘I’ve always said I don’t like diving. He deserved to get booked. I don’t want any of my players diving, I don’t want anybody doing it. 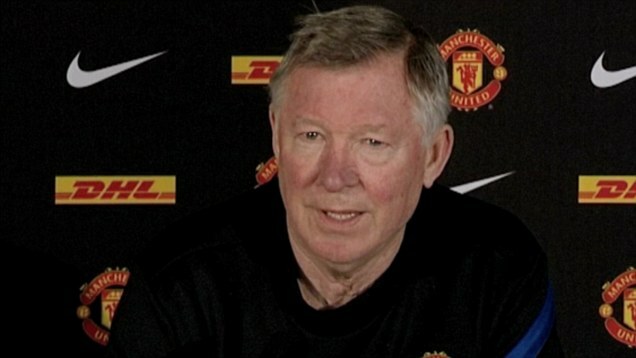 Fergie quiz time: How many penalties has Ryan Giggs won?